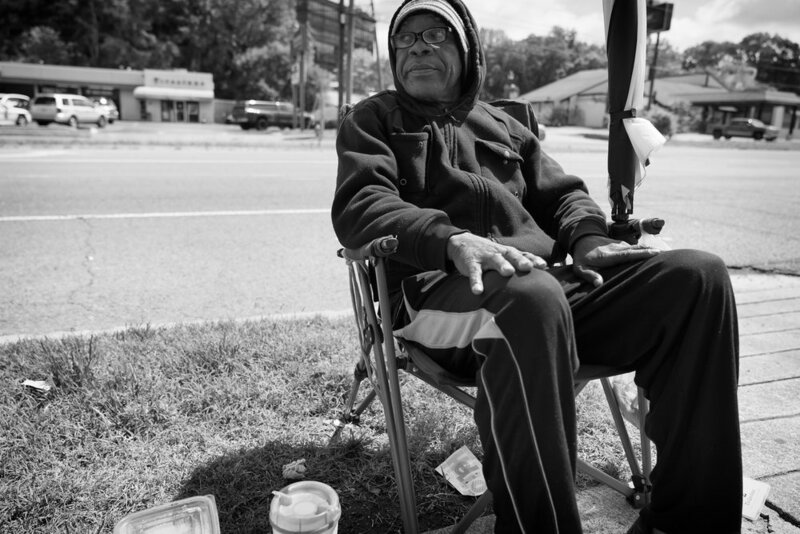 On a cool May morning he quietly sat next to the sidewalk in front of a McDonalds in Nashville. As cars pulled away with their breakfast, he would smile and give a wave. But, I wanted to know more about him than his simple wave. “I’m from Mississippi and my parents were cotton farmers. When I was 2 (in 1955) they’d feed me a shot of whiskey and I’d fall asleep while they worked the fields,” he explained. He gave me insight into his life and told me he eventually landed in Memphis, TN and got married. His wife died in the not so far away past. After she passed away he moved to Nashville in search of employment and sobriety. He went through a program in LaVergne, Tennessee where he got sober, but the employment didn’t last. But, he has been sober for 8 months now. Albert is 64 years old and sober for one of the first times in his life, which is huge.